It’s available from all good book sellers – a couple of links below. Write your own short story at a free creative writing workshop led by Kirsty Logan (author of The Gracekeepers and The Gloaming) and Michelle Green (winner of the Julia Darling Travel Fellowship 2016). These two-hour long workshops will focus on writing short fiction and welcome writers of any ability to get involved. Tickets are free but advanced booking is required to reserve your space. 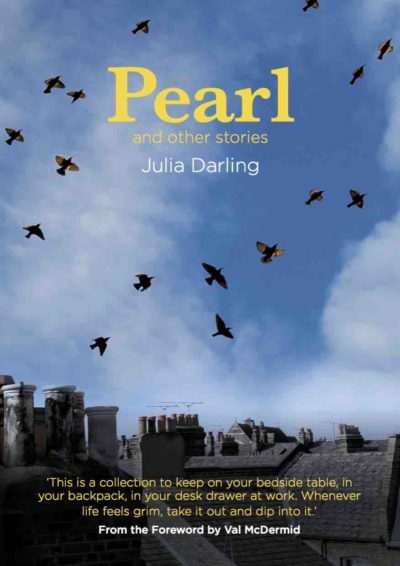 A new selection of short stories by Julia will be available in October!! The Julia Darling Travel Fellowship 2018 has been awarded to Caroline Hawkridge from Cheshire. The Julia Darling Travel Fellowship is now open for entry until 23 March 2018. 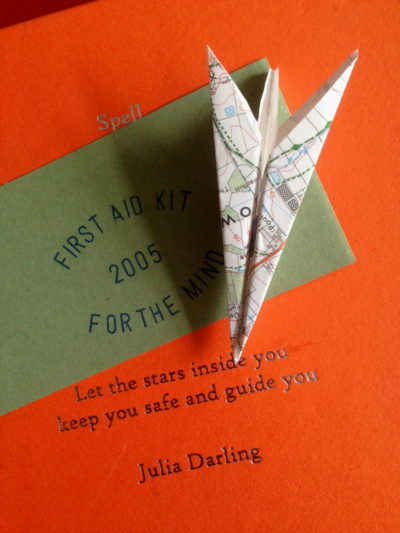 Worth £2000, the Julia Darling Travel Fellowship offers a published writer from the North of England a period of travel for writing, research and inspiration. It is now open for entries until 23 March 2018. The 2017 award winner Emma McGordon was announced on Sunday at the fund raising event ‘Rendezvous with Afternoon Tea’. The Julia Darling Travel Fellowship is now open for entry until 31 March 2017. This creative writing fellowship offers a published writer from the North of England £2,000 in order to fund a period of writing and research away from home. Michelle Green received the Julia Darling Travel Fellowship in 2016. Here is an update on her trip to Hayling Island which gives us a glimpse of the rich seams of stories found amongst the eroding landscape and communities there. Michelle Green was announced as the winner on Sunday night at Rendezvous: Wish You Were Here, a celebration of the life and work of Julia Darling at Live Theatre, Newcastle. Chloe Daykin was the winner of the first Julia Darling Travel Fellowship. Read all about Chloe’s travels to Norway and what inspired her there in an interview with Tamzin Mackie for the Journal Culture Magazine by clicking here.